Mocha Uson, a Filipino Celebrity who is the leader of a girl group performers called 'Mocha' had been very open with her support to our People's elected President of the Philippines, Rodrigo Roa Duterte. To openly share her support to our President, Mocha Uson made a blog page thru Facebook, wherein she gained lots of likes and followers from her co-Duterte supporters. As of this writing, Uson's Facebook page already has a 4,549,630 likes. Because of the fame her blog got, Mocha Uson was asked by PhilStar.com to make an article with them in a column wherein she can voice out whatever sentiments she has. Below is one of her Articles. 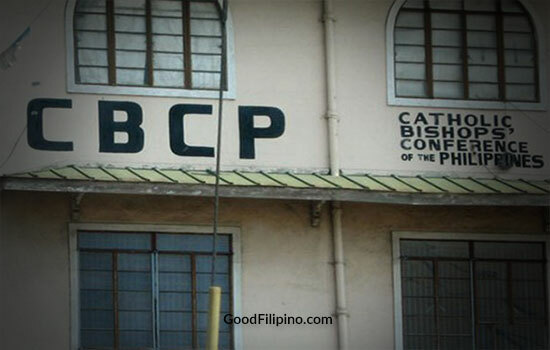 "Is CBCP an Anti-Christ??" The main title of the said article. In the article, Uson reitarate how does the Catholic church influence whom must govern a certain place/area. Uson even flashback to Spanish Era, where Jose Rizal and Martin Luther are two of the famous people in the 'History' who fought against this system of the Catholic Church. Uson also gave points in the article how the Catholic have influenced the downfall of Ferdinand Marcos thru Edsa 1, and how they manage to give Cory Aquino the Presidential seat that time. According to her, what gain does this churches will have from the Aquino's, are all about money, because to her "Catholic Church without money is a dying church". Since Church is not business genarating income organization, they have no 'Tax,' however, they have investments from some elite businesses that is allegedly being protected by the Aquinos. Uson also voice out her sentiments in the article saying that the Church should not be encouraging hate and anger (refering to the Marcos Burial) instead they should promote unconditional love and forgiveness. She said that it might be true that Marcos should be held liable on all of his alleged crime but it is no longer the Church job, its the Governments resposibility to ensure justice is serve. Uson said, what the Church must "should be teaching people about love for God and love for one another. It also says in the Bible, “Whoever does not love does not know God, because God is love” (1 john 4:8)."" On that verse Uson posted in her article, it says that False Prophets also pretend to teach things but opposite on what is Jesus Christ is preaching. So her conclusion is if the false prophets promote hate and anger, so what does the CBCP do today. What do you think on Mocha's article? Please took the comment box below and share your thoughts below. Comments or suggestions about "Mocha Uson on CBCP an Anti-Christ" is important to us, you may share it by using the comment box below.